Are lower income borrowers the answer to a stronger housing recovery? The industry’s focus on expanding credit continues to grow as many agencies continue to show support. However, is enlarging the credit box the only answer to a stronger housing recovery? Mel Watt, director of the the Federal Housing Finance Agency (FHFA), announced plans earlier this month to help “lower-wealth borrowers” by making mortgages available with just 3% down. Additionally, U.S. Housing and Urban Development Secretary Julian Castro pledged to help provide lenders more certainty about when they would face liability for defaults on loans insured by the FHA. Seven years after the housing crisis, its scars still remain, according to Peter Miller's column published by RealtyTrac. He said real estate values have yet to recover and the FHFA reported that home prices in August were 5.8% lower than in 2007. The housing market has seen improvement since the bust. Recent data from RealtyTrac showed that currently only 8.1 million homes are “seriously” underwater compared to a high of 12.8 million in 2012. While the lower down payment requirement has gotten a lot of attention, it's not really the centerpiece of the credit issue because plenty of loans with little down are already out there, said Miller. Instead, it’s the plague of regulations lenders have had to deal with since the bust. Lenders argue that standards are so unclear and tight that they fear penalties for minor paperwork errors that have nothing to do with loan quality or repayment. Following the bust, lenders had to repurchase tens of billions of dollars of bad mortgages they sold to Fannie Mae, Freddie Mac and private investors. To avoid such costs in the future, lenders have put in place tight mortgage standards that intentionally overshoot Fannie and Freddie requirements. The result is the tightest credit market Americans have seen in 16 years. 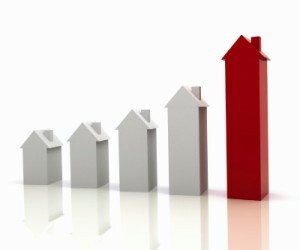 The increased regulation has also increased costs for mortgage professionals. Lenders reported a nearly 30% median increase in compliance costs compared with 2013, according to Fannie Mae’s Third Quarter Mortgage Lender Sentiment Survey of senior mortgage executives. Lenders also reported increased reliance on outsourcing due to increased regulations and associated costs, particularly in relation to post-closing quality control review and servicing. According to VirPack, the typical loan application now runs more than 500 pages and it’s not usual to find files with 1,000 pages and even 2,000 pages, said Miller. For instance, with Fannie Mae and Freddie Mac loans can now have two, 30-day late charges in the first three years and not set-off buy-back demands. Miller said in 2003, lenders originated mortgages worth $3.8 trillion compared to this year, where originations are expected to reach $1.1 trillion according to the Mortgage Bankers Association. He added that those record origination levels won’t be back for years, if not decades, no matter how much the industry expands credit. First, large numbers of homeowners refinanced in 2012 and 2013 when rates hit historic lows. They have no need to refinance into mortgages at today’s rates. Second, vast numbers of borrowers — those 8.1 million who are “seriously” underwater — lack the equity needed to refinance. Third, incomes fell 8.7% between 1999 and 2013 according to the Bureau of Labor Statistics. This means it’s harder for borrowers to afford mortgage costs than a decade ago. Fourth, student debt now tops $1.1 trillion, up from $260 billion in 2004, according to the New York Fed. More student debt makes it more difficult for borrowers to fit within standard debt-to-income ratios that would allow them to easily qualify for a mortgage. Fifth, existing home sales trail 2013 activity, meaning there are fewer properties to finance. To read Peter Miller’s full column, click here.